“……So if you are reading these few words as part of your research into booking a videographer for your special day, look no further you have found your man – book your slot and once your day is passed be ready to enter the time capsule and be transported back to a magical day via a beautifully crafted film from Diamond Lights aka BARRY!!! .…..and then the postman arrives with a small package that turns into a time machine and you are transported back to your special day through a beautiful film from Diamond Lights and once again experience all the emotion that a wedding day brings – joy, laughter, love and tears. Special thanks are not words enough to Barry – what a guy! A gentleman who guides you through from initial booking to pre-wedding meetings to your wedding day and beyond! Totally professional with many words of wisdom to keep you calm with an odd joke or two, guiding you through your wedding day whirl wind and so discreet that nobody realises that they are being film – AMAZING! Such natural footage of smiles, hugs, kisses, joy, laughter, dancing and much more – the story of your day told from start to end so you can relive your “happy ever after” over and over again. 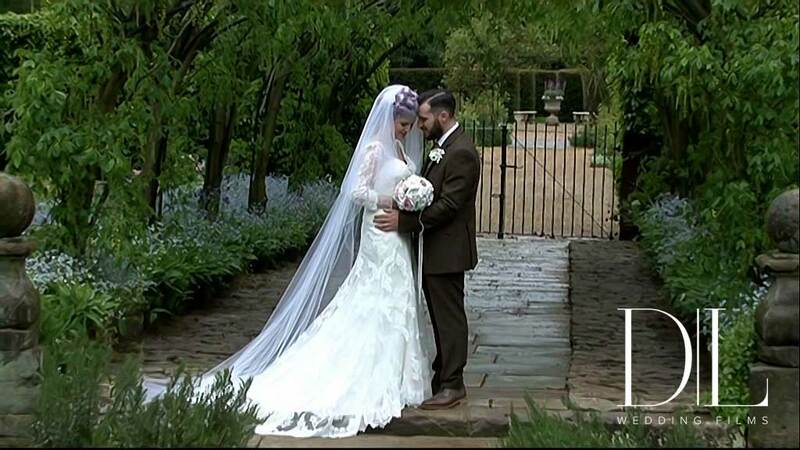 We were told by all our guests what a fabulous day they had at our wedding and we did too but to see it all on film really confirms that! With the bonus of all the things you missed and didn’t see. For myself as the bride in my wedding bubble of bridal preparations in my hotel suite I loved to see all the guests arriving and my groom downing a JD to calm the nerves. We have had our film now for about a week and I have watched it at least half a dozen times each time seeing something new and sure we will continue to do so for many weeks, months and years to come. So if you are reading these few words as part of your research into booking a videographer for your special day, look no further you have found your man – book your slot and once your day is passed be ready to enter the time capsule and be transported back to a magical day via a beautifully crafted film from Diamond Lights aka BARRY!!! 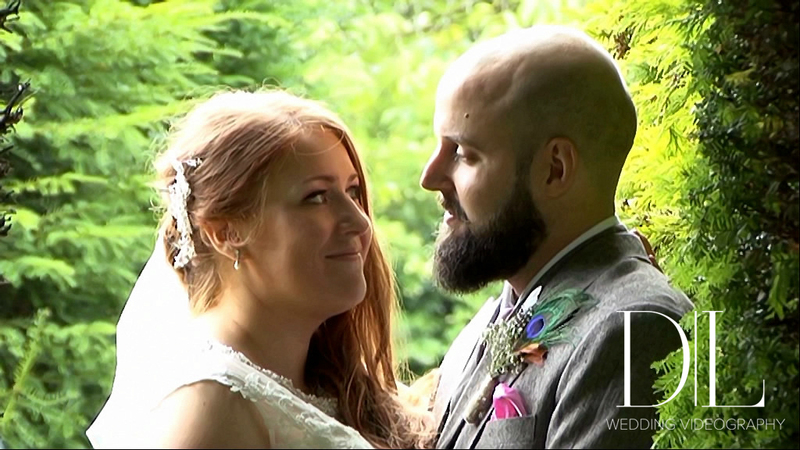 “I’m sure it was fate that we were lucky enough to book Barry (Diamond Lights Wedding Films). Our initial telephone conversation lasted nearly an hour and I knew then we’d made the right decision. Regardless of the amount of money you pay, your wedding day is one of the single most important days of your life and you want to cherish every moment. You don’t fully understand this until your day has been and gone and all you have left is the memories. It’s the little things that Barry captures, the things you will inevitable forget or not even notice without the video. It’s these things that end up meaning the most to you, these things can’t always be captured on a photograph so this is the reason why every bride should consider a videographer. Why should you choose Diamond Lights? Well that’s simple! Barry is passionate about his job, everything he does is done by his own fair hands and he takes care with every step, whether that be email updates, phone calls, meetings or your wedding day itself. Barry will be there for you with some wise words or something to make you smile along the way. Barry genuinely loves this job and this is easy to see in the enthusiasm and pride he shows in his work. We’ve had our video now for a week and I’ve watched it twice, I laugh, I cry and I laugh some more. I’m amazed by the things I missed on the day but can truly appreciate now how lucky we are to have had Barry working with us on the day. We want to thank you so much for our wedding film. It is absolutely beautiful in every way, we have really loved watching it, we cannot thank you enough. From the moment we booked with you right until Christmas Eve, (were you so very kindly took your time at such a busy time for everyone to HAND DELIVER our wedding film in time for Christmas for us), you made us feel so at ease straightaway and the service you have provided was really outstanding. Our wedding film is so beautiful and the way it is filmed is so natural and elegant, it is better than we ever imagined. We will definitely recommend you to everyone. It is so lovely to watch back on our day and catch up on this little moments you miss and relive it all again. You can’t buy memories and with the way you have filmed it, it is a day for us to cherish and relive forever. 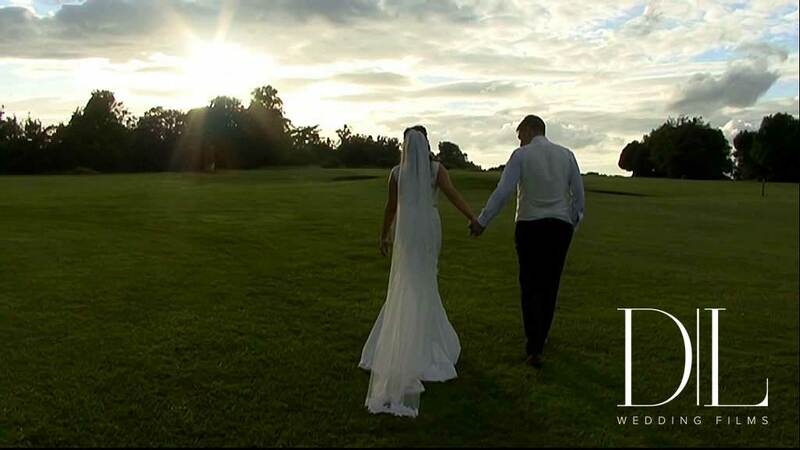 Anybody who is ever doubting getting your wedding filmed, do not hesitate it is money well spent, as I said you cannot buy memories they are priceless…… And you MUST book Barry as you really will get the best wedding film you can ever dream of. You won’t be disappointed. Thanks again Barry, we thoroughly appreciate all of your time and effort and wish you an amazing new year. The way you filmed it so beautifully is a real testament to yourself. We received our wedding video today and already watched it twice tonight as we are absolutely amazed with everything. It is truly wonderful, we laughed, cried and smiled continuously throughout watching as it brought back so many happy memories from our special day. You were incredible and from the moment we first met you we knew we had made the best decision to have our special day filmed. You helped us to relax, kept yourself in the background and you also had the humour to banter with us which put us as ease on the day. 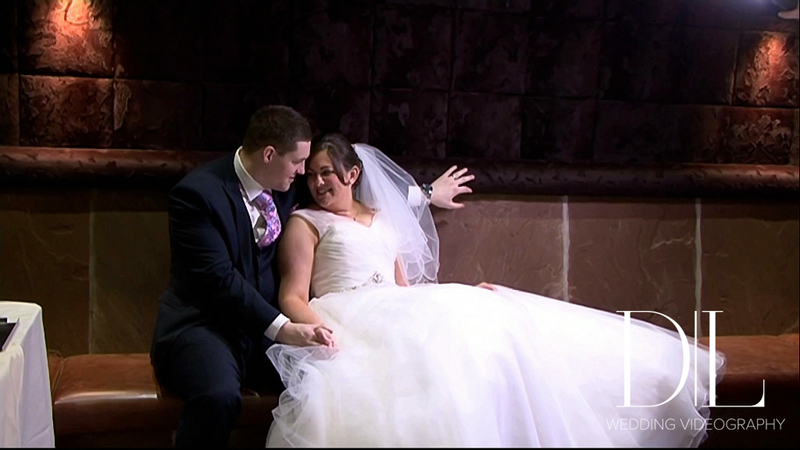 You have captured everything, even the bits that we didn’t get to see on the day itself and we cannot wait to show it to our family and friends and watch this special video of our day over and over again. It’s a true keepsake and I would highly recommend not only getting your wedding filmed but to choose Diamond Lights, thank you so much Barry. It was a pleasure to meet you and thanks again for giving us the best gift ever from our wedding. 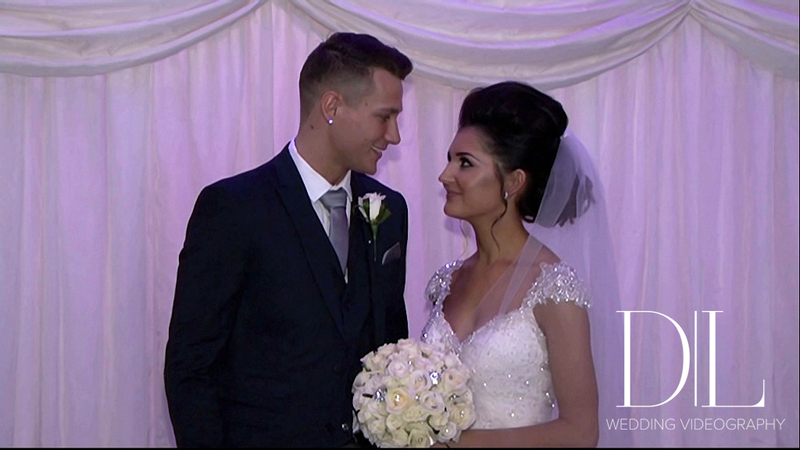 We can’t begin to describe how happy we are with our amazing wedding video! It has captured all the beautiful moments of our special day so perfectly and it has allowed us to relive the day (without the nerves!) all over again- we have watched it four times already! Each time we watch it we notice something new and it feels like we are watching it for the first time. The way you were able to capture every little moment of the day in such a natural and relaxed manner is a real testament to your brilliant workmanship. We knew straight away that we wanted you to capture our wedding day, having seen your fantastic work at Greg’s brothers wedding in 2010. Since then you have done a number of our friends weddings, and have always been extremely professional in your work. It has been by far the best purchase we made for our wedding, and we have recommended you so highly to all our friends who are planning their upcoming weddings! Thank you not only for our perfect film, but also for your support and words of wisdom from our first meeting right through to us receiving the final product. We have really appreciated receiving regular updates from you, and it just shows how dedicated you are to making sure you deliver a high quality service. One again, thank you so much for everything! You have given us the most perfect way of reliving our wedding day for years to come and it is something that we will treasure forever. We will no doubt see you at many more weddings in the near future of those we have recommended you to. WOW. I don’t even know where to begin! We only stopped watching our film 10 minutes ago and I felt I had to message you straightaway! Anyone who is considering having their wedding recording, I urge them to do so! And look no further than you! What a fantastic choice we made asking you to video our wedding. Having already met you at a friend’s wedding you filmed (where Paul was Best Man) we knew how easy you made things on the day which was a huge factor in choosing you. But we can’t put into words how fabulous you have been. From the second we booked you until the big day, you have been nothing but professional and, most importantly, friendly and fun! You have made a conscious effort to get to know us as individuals which comes through brilliantly in your film – showing the little chuckles and quirks that makes us, ‘us’. There were so many parts of the day that had passed so fast we could barely remember what had happened but to watch it back in the way you had so cleverly edited it made us feel like we were a guest at our own wedding. Nothing staged, nothing faked, just us exactly how we are. Absolutely amazing! Your subtle recording had us saying, “Wow, I don’t even remember that!” over and over again. You captured our day perfectly and we can’t thank you enough. Thank you so very much for your work and our finished product. You are a true professional and a great person! We couldn’t recommend you enough! 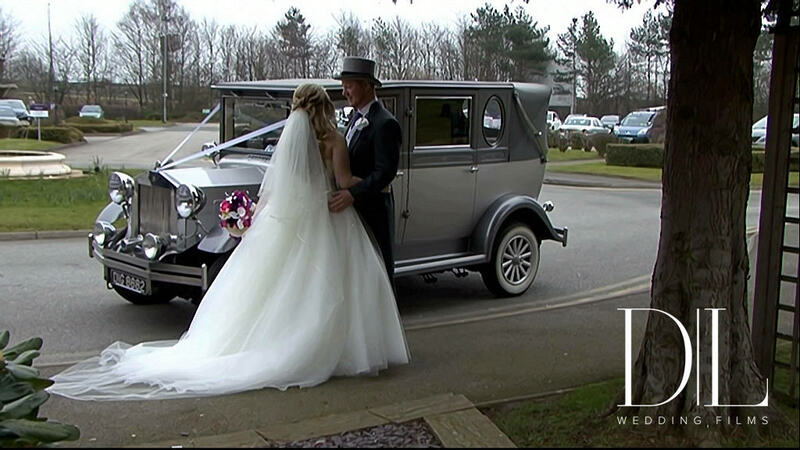 “Thank you so much Barry for our wonderful wedding film. From the first day that we got in touch you were professional and helpful, guiding us through the whole process. 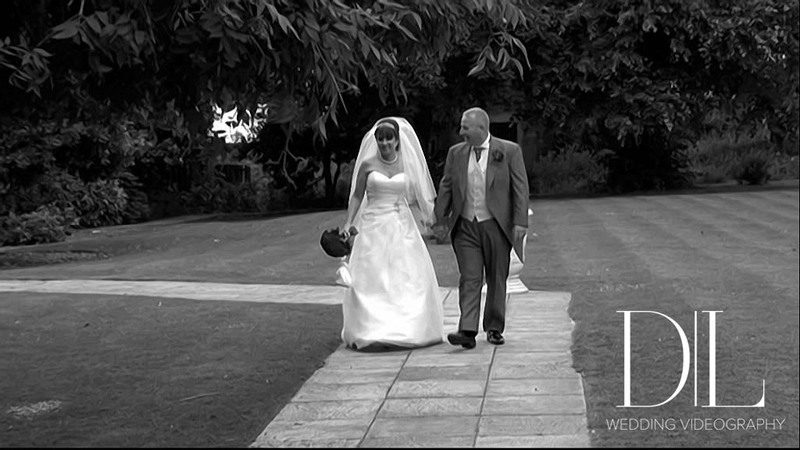 On the day you were discreet but worked seamlessly with our photographer and venue staff. You were a great support to us both on the day and helped to make the day run as smoothly as it did. The film that you have created is perfect and is something we will treasure. We loved that none of it was staged and it is all natural shots of the day with lots of little bits that we had missed! It is a joy to watch. We would not hesitate to recommend you to other couples. 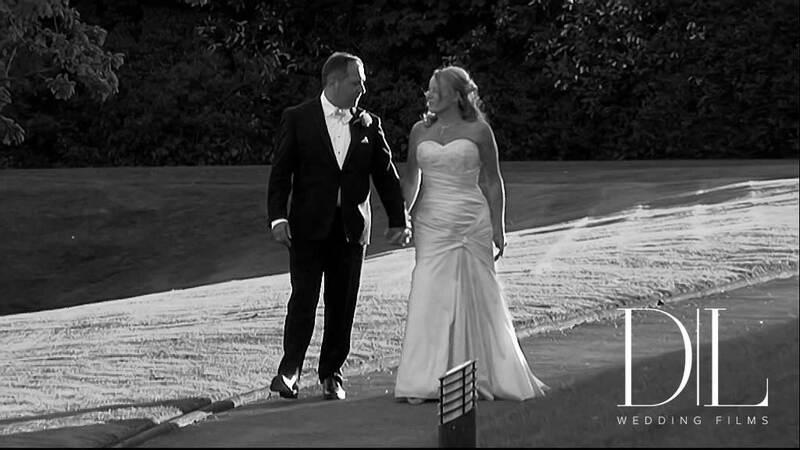 Just a quick note to say how amazing our wedding DVD and Barry is! We have just finished watching it and cannot believe how fabulous it is…….It is more than we ever expected! Right from the initial booking you have taken the time to keep us well informed and kept in close contact with us to ensure everything was in place for the big day. Nothing was too much trouble and you provided guidance when we asked for it. You are a true professional who is passionate about his work, great attention to detail and do a fantastic job – if you want a fabulous memory of your day get Barry booked, you won’t find anyone better. Our favourite part was the Video Guest Message section and this is a must for anyone who is booking with you. Thank you so much for capturing our day in the way you did – we cannot thank you enough! We will treasure our DVD forever and recommend you to anyone we know who is getting married! We are absolutely blown away with how amazingly you have captured our day! You were fabulous from day one. From the planning to filming the day and now this amazing DVD. Again, we can’t thank you enough for everything. We can’t wait to show our family and friends! I will recommend you to anyone looking for a videographer. You are so talented at what you do! just wanted to say thank you so much for our wedding film, you captured the day perfectly and we have memories that will last a life time. From the very beginning you made us feel at ease and nothing was too much trouble. I wish we could do it all over again and we would definitely choose you. After seeing the amazing footage filmed by you we was over come with happiness and emotion, I don’t think we could of ever of dreamed of something so fantastic but wow this DVD topped it all. You have ensured these treasured memories came alive and they so did. It felt like it was 10/10/15 all over again. The nerves was running through us we was truly wowed by this amazing footage. From boking with you 2 years previous to our final meeting you was fantastic, you put us both at ease you took the stress and anxiety away and made the excitement of our wedding day sound so real. You turned up to Statham and well what can I say except that you was brilliant some of our guests didn’t even know it was all being filmed. Natural footage has now become a memory that we will cherish forever and ever. Tears laugh and smiles where heard from our living room last night but all we can say to you is Thank You, words cannot describe the feelings we experienced watching this for the first time. You are everything and more that you advertise and I don’t think we could possibly ever thank you enough for what you have given us in such a small packet. You captured our dreams and will certainly help us enjoy many years of looking back on such a special and amazing time in both our lives. Just when you think things couldn’t of been more perfect diamond lights sealed the deal with the DVD. Barry from the bottom of our hearts thank you, you truly have delivered and for this you have made us so happy. Where do we even begin with this testimonial? We still say to this day that our wedding wouldn’t have been the same if we hadn’t book you. You were the calm in the storm, the smile through the stress and the telling off that I needed when I was worrying about pointless things. We were fortunate enough to meet you when James’ twin got married and also at my friend’s wedding and we are so glad that we did. There was no doubt that we had to have you to capture our special day- but you did more than that. From the minute that we booked you your emails and contact was so professional yet so reassuring it was brilliant. When you came to our house to discuss arrangements it is fair to say that we were so stressed! I think I said to James hours before you came, “oh does this have to be tonight?” But it was one of my favourite parts of the planning process- you made us realise it’s not about the stress it’s about us and we laughed from the minute you got there to the minute you left. Thank you for that. The day of the wedding you were fantastic- like James’ 5th usher, sorting us out, offering your help and support and making James laugh with the mic, although from what James told me, he kept you entertained!! We couldn’t have imagined as we went through our wedding day that you would be able to capture the day in such a special way. When we received the DVD it was so exciting and you certainly didn’t disappoint. Our friends and family really loved you, everyone commented. And it was so wonderful how well you got on with our photographer; you made a great team and helped each other to create such perfect outcomes. We highly recommend the Video Guest Messages segment- absolutely brilliant! We’ve replayed that section a few times! Barry, thank you for your professionalism but most importantly thank you for how kind and attentive you were. For anyone reading this, you’ve found your videographer!! We have watched the wedding video this evening and can’t thank you enough for it. it has by far exceeded our expectations! From start to end you can clearly see how much work and effort you have put in to making the film as special and memorable for us as you possibly could. It speaks volume of not only how talented you are but also how much you cared about creating the best possible memories of our wedding day for us. We have watched the DVD over and over since receiving it and each time it just gets better and better. We would also like to say how pleased we were that you were a part of our day, as your approach to filming was so relaxing it made sure we got the best possible footage. On a day potentially full of nerves its credit to your personality that the banter between ourselves and all our family with you helped create a fantastic atmosphere that everyone could enjoy and still not realise they were on camera. Thanks so much for everything you did, you went above and beyond what we expected and nothing was too much trouble for you and the results showed! We would highly recommend you to anyone and we now realise now why you came highly recommended to us. We would both just like to say thank you for all that you have done in making our wedding day that little bit more special. From our first meeting you made us feel at ease and helped to reassure us that the day would run as smoothly as it did. Everything we planned ran to schedule and having watched the DVD, you did a fantastic job! 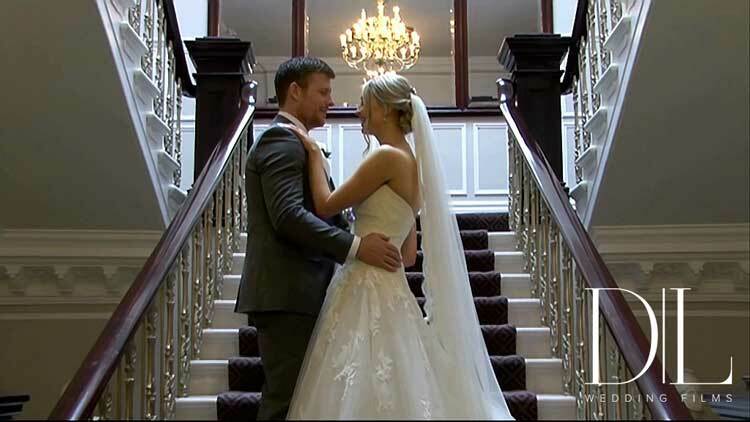 We were particularly impressed by the way you incorporated our abroad wedding video into the home celebrations. Our wedding day is something that we will never forget and you have helped us to achieve this. WOW! What can we say. Thank you is a start. Watching our Wedding DVD was very emotional and re-told the story of our special day and even felt like we were re-enacting our fairytale all over again, especially as you have captured all of those precious moments. You truly are a professional making us feel at ease even before our ‘Big Day’. We have shared the DVD with family and friends watching it over and over, having even them compliment your amazing artistic eye and how brilliant the quality of the DVD is from Start to Finish. 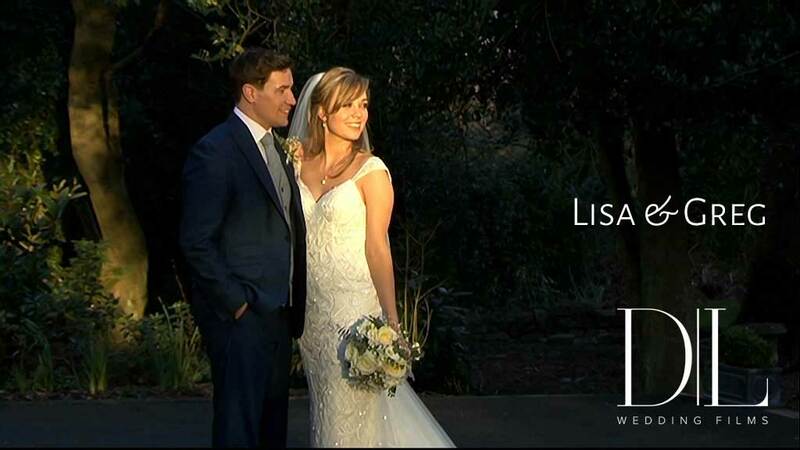 Thank you so much and we will definitely be recommending you to family and friends getting married in the future.